Hosting a bake sale? Advertise your event with this very appropriate flyer. 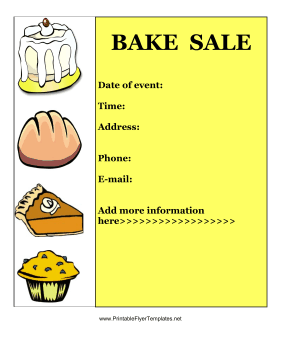 The poster includes several different types of baked goods as well as plenty of room for your fundraiser information.